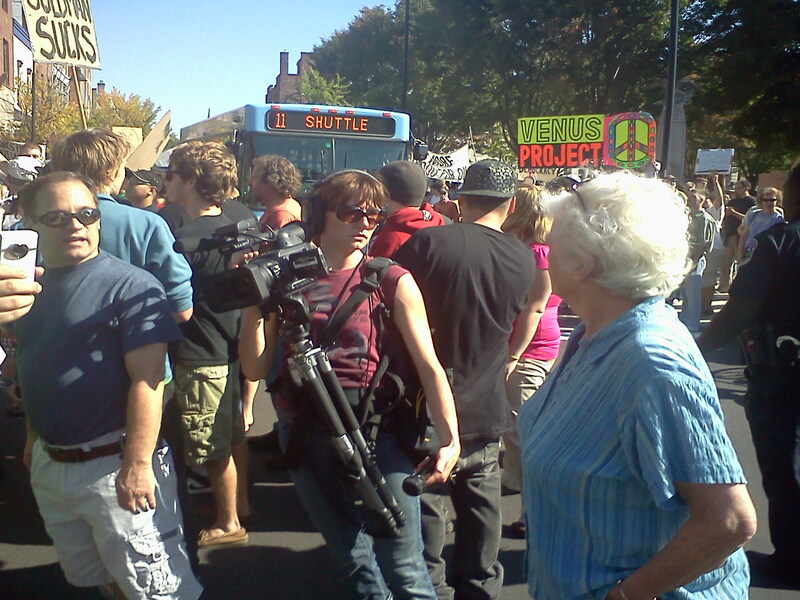 I met Sam Mayfield (real name Shirley Ann Mayfield – no relation to Sandra) – that’s her holding the video camera – when she worked at the Center for Media & Democracy in Burlington helping non-profits get their message out to the public. She is also an independent filmmaker who has traveled around the world. 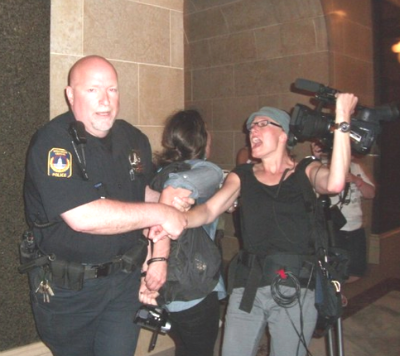 This winter, she found herself in Madison, WI documenting the occupation of the Wisconsin Capitol and the rallies against Governor Walker’s Union-busting bill. At one point she got arrested for disorderly conduct in the Capitol building, which she related to Democracy Now! Now she is creating a documentary of the uprising and is raising money to be able to finish the project. If you are not in the Burlington area, but would like to help you can contact Sam at Shirleymayfield@gmail.com or follow her blog Sam Land.